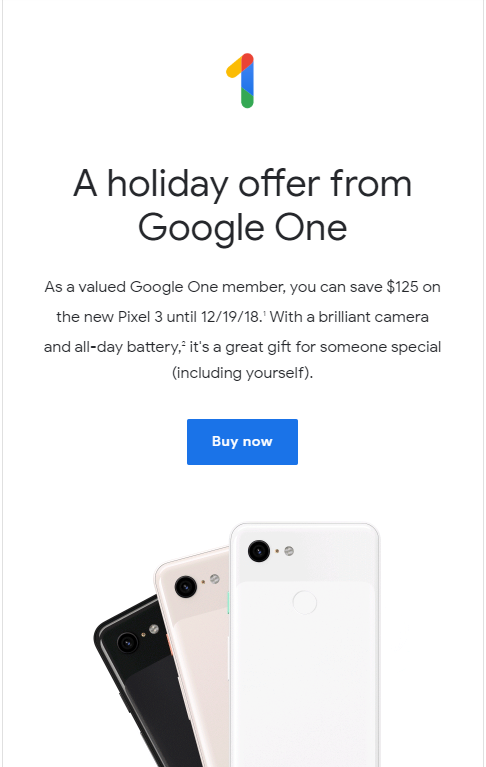 When Google announced the revamped Google One subscription, it said there would be special perks and deals for members. It didn't offer much in the way of examples at the time, but it's starting to take shape with a new promo. If you've got a Google One subscription, check your email. You may well have an offer for up to $200 off the Pixel 3/3 XL. 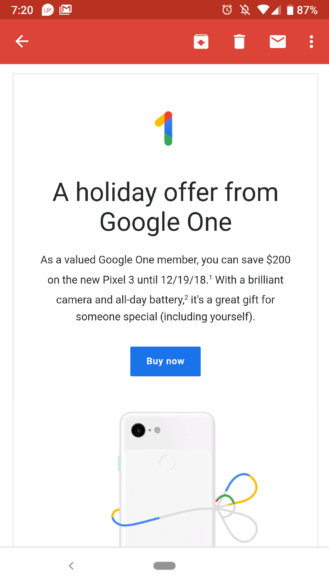 The email entitles the recipient to either $125 or $200 off the new Pixels, but it's not clear what determines your discount. Some people get the full $200 offer and others just $125. Maybe this is just the latest Google A/B test? At any rate, head to the Google Store and you can choose your Pixel and apply the discount code. 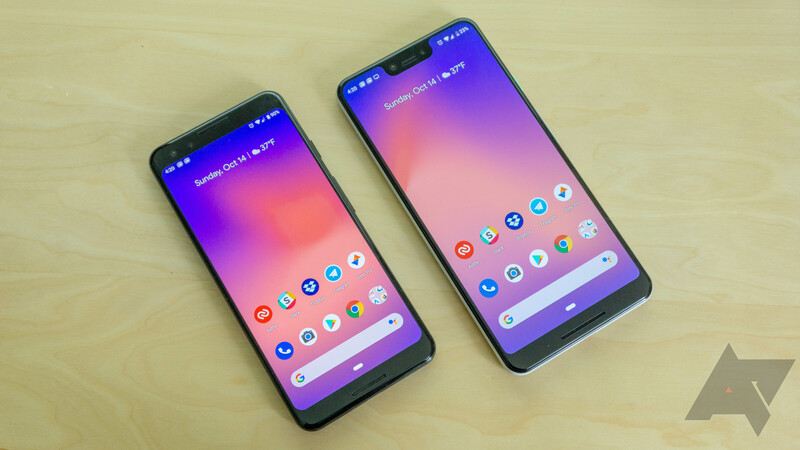 If you get the $200 discount, that lowers the price of the base model Pixel 3 to $600, which is an excellent deal. If Google keeps offering perks like this, a Google One subscription could begin to look much more valuable. This holiday offer is only valid through December 19, 2018 at 11:59 PM PST, and those outside the US should not expect to get the discount.